We are back on Air! Welcome to the Sunday live shows of Radio Stad! With the best Italo High NRG and New gen music. lets play some vinyl today! This weeks chart is from 3rd of November 1984. You can look up all these charts Here.. *click* in our huge database. 20:00 CET…The Request show, every week your gang is at your service to play the best tracks and your requested songs. And you know vinyl rules! Downloads in audio and video of all of our shows you can find in our download section. This show will also be on mixcloud and you-tube! Gwen 04-11-2018 . Categories: +mix, clip, Download, Haagse Flitsende 50, Live Show, new release, Nieuws, Stad Disco Zondag, Sunday Live Show, Video, vinyl. Tags: At the Disco, Flashback records, Flemming Dalum, Haagse Flitsende 50, Haagse Radio piraten, High Energy, I Venti d'Azzurro, I venti Records, Italo Disco, Italo dj Mix, Italo Internet Radio, Italove, Iventi Records, Live Request Show, Martin Blix, New release Radio Stad den Haag, Radio exclusive, Radio Stad Den Haag, Stad Sundaynight Live, Studiocam, Vinyl, vinyl records Italo. This weeks chart is from October 22 , 1983. You can look up all these charts Here.. *click* in our huge database. 20:00 CET…The Request show with your gang! And they are in da house.. 5 pieces of fresh vinyl; the new i Venti releases! So…besides your requests that you surely will hand in to us we will play the 5 tracks on i Venti label that we have now in the studio on beautifull vinyl! SCORTA(rerelease), Clay Pedrini(rare), J.D. Jaber(new), Roby Rotondo (rerelease) and Joe Lettieri (new) Thanks to Kimmo Salo and Kimmo parvianen from Flashback records we can also share with you the yet unreleased New Sin album – Balalata! And the new Amaya called Feeling Something. Autumn has set in so perfect to stay at home and listen to your one and only station. lets play hte music we love! Join the chat so you can give feedback. Gwen 28-10-2018 . Categories: +mix, clip, Download, Haagse Flitsende 50, Live Show, new release, new release, Nieuws, Stad Disco Zondag, Sunday Live Show, Video, vinyl. Tags: Amaya, Clay Pedrini, Flashback records, Gianluca Bergonzi, Haagse Flitsende 50, Haagse Radio piraten, High Energy, I Venti d'Azzurro, I venti Records, Italo Disco, Italo dj Mix, Italo Internet Radio, Iventi Records, J.D.Jaber, Joe Lettieri, Kimmo Parviainen, Kimmo Salo, Live Request Show, Marco di Luna, New release Radio Stad den Haag, New Sin Italo, Radio exclusive, Radio Stad Den Haag, S.C.O.R.T.A, Stad Sundaynight Live, Studiocam, Vinyl, vinyl records Italo. As allways your gang is ready to rolll and so are our studio cams. Chat is open, let’s make it your night out with the best new releases! and drinks, vinyl, videoclips, requests and you! This weeks chart is from 27th of August 1983. You can look up all these charts Here.. *click* in our huge database. 20:00hr CET- The sunday night live request show with Michiel, Gwen and for the fans.. Menno is back this evening. We received new music to promote From Flashback records a new Aleph! an new Cyber people and allready played last monday the new ken Laszlo! from AMD records (David Lin) named Apolo a Mexican project.. we want to know what you think of this production. Also a new Kristian Conde to promote given to us by Rafal Lachmirowicz (Analog Language) called The Spark. Then Kostas Organopoulos send us all the way from greece a new vinyl from D White. But most of all we love it when you hand over your favo classic rare tracks as a request… RSDH on demand! We make it your night out! Gwen 26-08-2018 . Categories: +mix, clip, Download, Haagse Flitsende 50, i Venti, Live Show, new release, Nieuws, Stad Disco Zondag, Video, vinyl. Tags: AMD records David Lin, Analog Language label, Disco-Mix, Flashback records, Haagse Flitsende 50, Haagse Radio piraten, High Energy, I Venti d'Azzurro, I venti Records, Italo Disco, Italo dj Mix, Italo Internet Radio, Iventi Records, Kristian Conde, Live Request Show, Radio Stad Den Haag, Stad Sundaynight Live, Studiocam, Vinyl. Back on air this sunday. Only on RSDH for the best Italo & High NRG music since 1981! 4 Cams are rolling and the chat is open, so come and say hello! Om 5 uur kun je live genieten van het programma DoucheCo met Michiel van der Brugge. Hij draait 2 uur lang platen uit de klassieke hit lijst de “Haagse Flitsende 50” Deze week van …2 februari 1985. 8-11pm CET…Sunday is Funday and so your’e night out. You ask and we play! Any track in mind? One you dont hear often , want to dedicate to a friend or reminds you of the good old days… give it to us nowand surprise us. click on the request a song button logo or on top of this website. Also this weeks spacesynth and some New Gen music. Playlist in the comments soon after the show. Downloads then also available in audio and video. Gwen 04-02-2018 . Categories: +mix, Charts, clip, Download, Geschiedenis, Haagse Flitsende 50, i Venti, Live Show, new release, Nieuws, Stad Disco Zondag, vinyl. 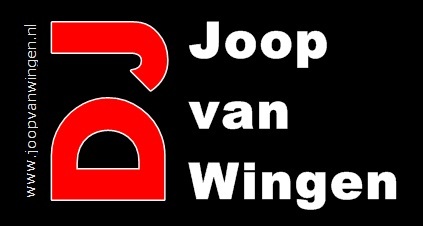 Tags: Charts, Disco-Mix, Discontinu, DoucheCo, Eurobeat, Flashback records, Haagse Flitsende 50, Haagse Radio piraten, High Energy, Italo Disco, Italo Internet Radio, Iventi Records, Live internet radio, Live mix set Italo, Live Request Show, Radio exclusive, Radio Stad Den Haag, Spacesynth, Stad Sundaynight Live, Studiocam, Vinyl.